Inventory We are a resale marketplace, not a box office or venue. Ticket prices may exceed face value. This site is not owned by Cheyenne Civic Center . The Cheyenne Civic Center is the premier entertainment facility in Wyoming. It holds almost 1,500 people, separated into 584 Orchestra level seats, 478 Loge seats, and 434 Balcony seats. It has hosted big name talent, Broadway smash hits, and unique entertainment performances such as The Letterman, Mamma Mia!, Beauty and the Beast, the Blue Man Group, and Wizard of Oz. They have a diverse presentation of concerts, comedians, and special events. 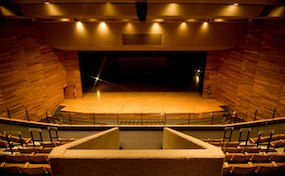 The goal of the Cheyenne Civic Center is to present a variety of services to make the arts an integral part of all of the lives of the citizens of Wyoming by educating, challenging, and meeting their cultural needs. The box office is located at 510 West 20th Street, Cheyenne, WY 82001. CheyenneTicketOffice.com is not currently affiliated with any box office, venue, website, or official supplier. We are a privately owned and operated company that specializes in offering tickets to all events in the resale secondary ticket marketplace. Prices on our sites can be well below or above face value but will change quickly with demand. To order tickets to all Cheyenne Civic Center Wyoming events please call our friendly staff at anytime or follow the steps online through checkout.